Paul Nelson has worn many hats over his lengthy music career. 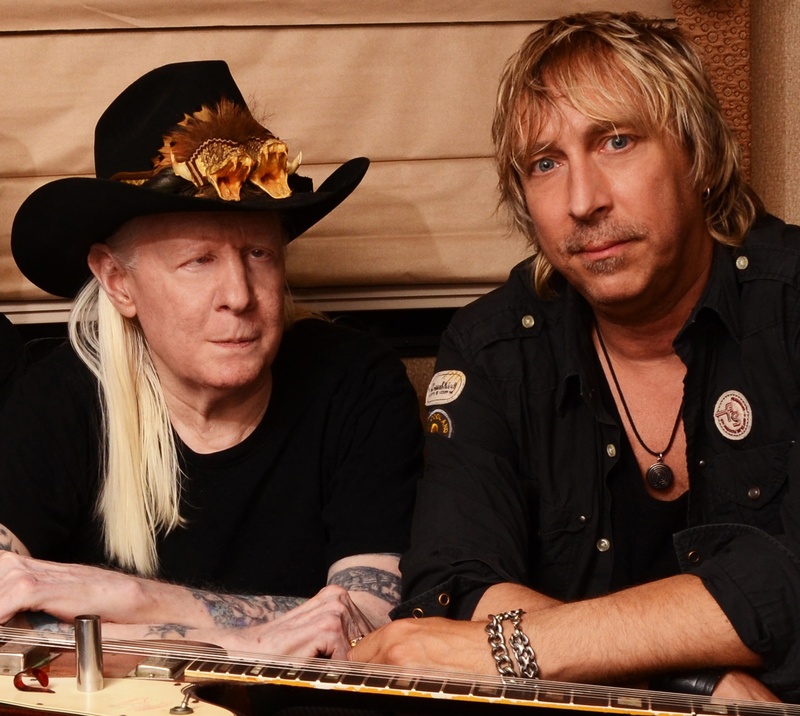 Nelson was Johnny Winter’s hand picked guitar player protege as well as being a producer, writer and Winter’s closest friend. Step Back, Winter’s final recording won a Grammy for Best Blues Album earlier this year. 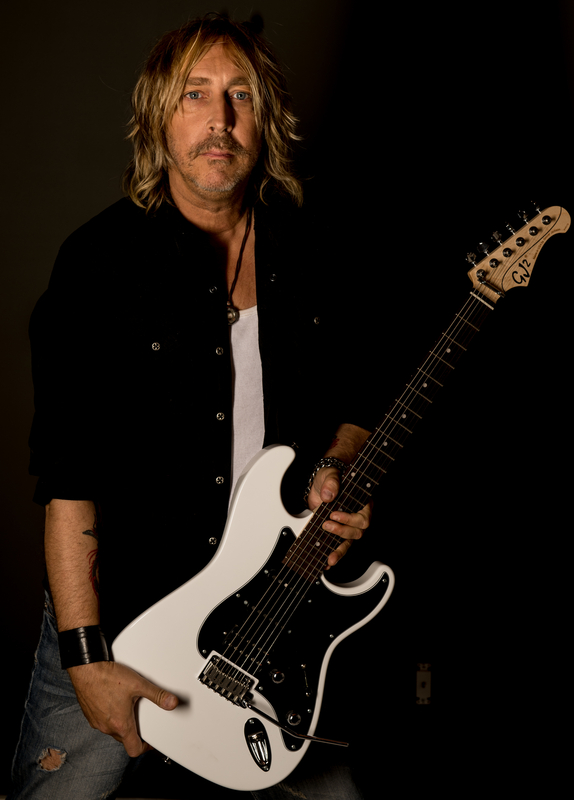 Not only did Nelson produce it, he also played on it along with several notable guest guitarists including Eric Clapton, Joe Perry and Brian Setzer. We recently caught up with Paul and he gave us the details on what he will be doing in 2015. Rock Show Critique: First off congratulations on the Grammy for Step Back. Tell us your feelings on winning the award? Paul Nelson: I really appreciate it. I was honored. Johnny had a lot of faith in me. He asked me to produce this one and the one before it Roots. He was having a great comeback, his voice was strong, his playing was strong. It was great the Academy acknowledged all the work we did together. The fans are still going crazy over the album it hasn’t let up. RSC: How did the album (Step Back) come about? Take us back to the beginning. PN: It all started with an idea. I talked to record companies when he was at the height of his they wanted him to play more pop rock stuff and they wanted him to shy away from the blues and that was his greatest love. Once he was in his comeback I said now is the time you can do anything you want to do. How would you like to do a whole album of just blues songs? He said I would love that. Let’s do that but let’s put a little spin on it, a little theme to it. Let’s make it songs that influenced you one by each artist and I’ll bring in some guests. He loved the idea. He picked the songs in fifteen minutes and I brought in the guests. He said I want you to produce and play on it. So we finished the first Roots which had Warren Haynes, Sonny Landreth, Vince Gill, his brother Edgar Winter, Derek Trucks, Susan Tedeschi on it. Step Back features he and I and Clapton on a track as well as other tracks that include guitarists Joe Perry, Joe Bonamassa, Dr. John, Leslie West, and Ben Harper. They just took off, we were slated to make two more. RSC: Take us back to the beginning, how you met Johnny. PN: We met on the east coast at Carriage House Studios as I was recording with the Wrestling people. He heard me play in the other room and said I like the way you play blues, I like the way you play guitar. I’m in the studio doing demos for my new album would you be interested in writing a sing for me? So I did that and submitted it to him and he loved it. He said you know I need a couple more so I did it again. He said there are some other guitar parts on there do you want to play some guitar on the album, I said sure. Since you’re on a few songs do you want to play on the rest? I said sure. Well, you’re on the album do you want to come on tour? I said yeah. He said do you have a passport? I said where are we going. We’re going to England. I said ok. It just went on and on and we built a friendship and a trust. Later on he said do want to help me with my career because he was having trouble with his management. Before you knew it we were best buds and he was like a father to me. I helped him out. We worked on getting him off (drugs) as he was a child of the sixties and he had done a lot of stuff. We slowly piece by piece got all of that stuff away and that’s why this is so bitter sweet because this was the height of his comeback. RSC: Tell us about some of your other adventures. PN: I played with everybody on many records and guest appeared on many things. I did guitar columns, I had a solo album out. Johnny knew all of this, he saw something in me, he knew we played well together. He really took me under his wing and made sure my music would be heard. He was one of the greatest rock n’ blues guitarists ever. He’s right up with Hendrix. I am happy I was able to help him redeem his status and that he left us on such a high note. That was one thing the Grammy’s did it showed that he was viable again even at his age. He was still making great music. Had this happened years ago he would have been written off. There’s a big story here and that’s actually coming out in a movie called Johnny Winter Down and Dirty. I asked the record company to find me a director that would be interested in documenting Johnny’s life. They referred to me to Greg Oliver the director of the documentary Lemmy from Motorhead. I saw the documentary and the editing, the look, the style. I go this would be perfect for Johnny. So I called up Greg and said why don’t you follow us around we’re on tour come out with us. He came with us to Japan, China. Johnny’s house on the east coast, his house in Texas, Memphis, all over Europe, my house. He followed us everywhere for three years. Johnny saw it and loved it. It’s just another thing coming out that’s gonna blow people’s minds. RSC: Tell us how Winterfest came about? PN: I had to contact the promoter’s to cancel all the shows. We had shows booked for a year in advance. We were doing 140 shows a year. I contacted them and they said there’s a problem the fans don’t want to return the tickets. I go what do you mean. They go they still want to hear Johnny’s music. I go well Johnny’s not here. They said well you play with the band and bring in a lead singer and we’ll honor Johnny. I said well I don’t want to do a tribute thing. I can’t bring a Johnny look alike up there. They said no just play it will be respectful. So we put Winterfest together where we brought in Sonny Landreth, Edgar, Warren Haynes, Earl Slick all these artists started coming in. And now it’s like the Hendrix Experience tour. It’s going through the roof. It’s honoring Johnny playing the blues music and they see the movie as well. It’s a tribute to Johnny yes….its with the original band members. It keeps Johnny’s name alive. The album came out a month after Johnny passed away. There was no tour. In a way this helps support the record, getting his music out there. That’s all he really wanted.